Meet “Torpedo” (pictured above), the 2018 competition robot designed and built by members of the South High Torrance Robotics (TorBots) after-school club. Each year, students participating in TorBots design and build a robot to compete in robotics tournaments during which the team puts its robot to the test against other teams’ inventions in points-based games. Typically, TorBots has only six weeks to plan, prototype, test, and build its robot. To keep the competition keen, the game’s parameters are changed every year, requiring the team to design a new robot that can complete the new requirements. For example, over the years TorBots has built a series of robots that could pick up and shoot foam basketballs into baskets, climb a steel pyramid, traverse different obstacles, and lift itself by grabbing a metal bar affixed to a tower. In addition to the fun, camaraderie, and thrill of competition, students who participate in TorBots gain technical knowledge and develop leadership and teamwork skills. Torrance Refinery has financially supported TorBots for many years with employee mentors volunteering to help guide the students through the difficult physics, math, programming, and mechanical challenges required to create the robots. 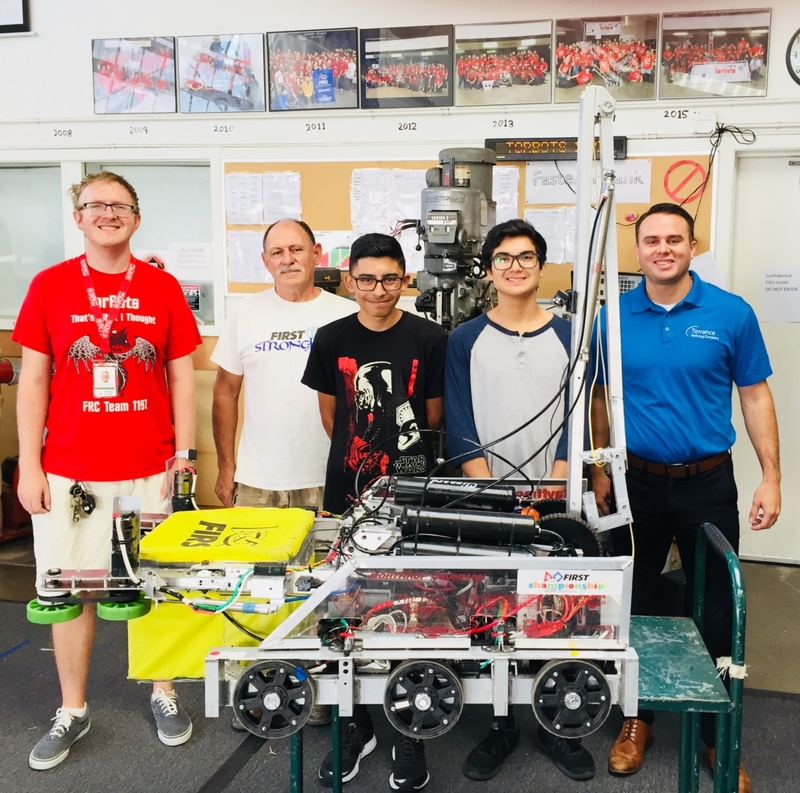 Torrance Refining Company LLC (TORC) Community Relations Advisor Brandon Matson visited TorBots recently to receive an update from the team’s coaches and students (pictured above). TORC is pleased to continue supporting TorBots and wishes the team great success in this year’s competitions! To learn more about TorBots, visit www.torbots.com.